49 days…wow…I still cannot believe I’m doing this. It feels like I took some express road completely unintentionally. Everything on my path accelerate with abnormal speed. Silent retreats, teacher training, now this. It’s all very intense, in relatively short period of time and I still don’t understand how, why it’s all unfolding for me. I don’t understand the purpose, but I guess I don’t have to. All I know is that I need this for something. All the skills, all the insights are needed for something I will be doing later. Anyway I’ve been asked how do I prepare to this retreat. I don’t. There is nothing you can do to prepare just meditate min 2hrs a day. As a matter of fact I’m a bit rebellion at the moment. I barely go to school at the moment, I barely mediate and I have not done any yoga for 2 weeks now. I’m allowing this to happen. I’m allowing the rebellion part of me to have a feast at the moment. I don’t force myself to anything anymore. What am I going to do there? Well there is a suggested schedule for a day, but of course you do what you want. You are in solitude. There is no group meditation, no lecture, no reading, no music allowed, just you in your room and on a beach if you choose so. Yes, some people don’t leave their room for the whole period there. I have not seen this suggested itinerary but heard from people from last year that more less you wake up with the sun and go to bed with the moon. Have I mentioned that there is a limited amount of electricity in the hotel? I guess they have few solar panels so that leaves you with no choice, but to follow the nature or to throw a romantic party with candles and me, myself and I each evening. I know it’s getting better and better more I tell you about this retreat:) So suggested itinerary includes 8 hours of meditation a day, 1-2 hours of yoga. I personally want to catch every sunrise and sunset. I want to meditate as long as my body allows me, and do ridiculously long yoga sessions. Once after TTC we did 4 hours of Hatha and it was an amazing feeling. An hour of sublimation, an hour of inverted asanas. I was flying after that for sure! With this experience I’m allowing not people to inspire me but to find this inspiration within me. Everything, everything, everything you need to know in life is inside you. Just sit down and listen. That’s what am I going to do for the next 49 days. Calmly quietly, without drama listen. 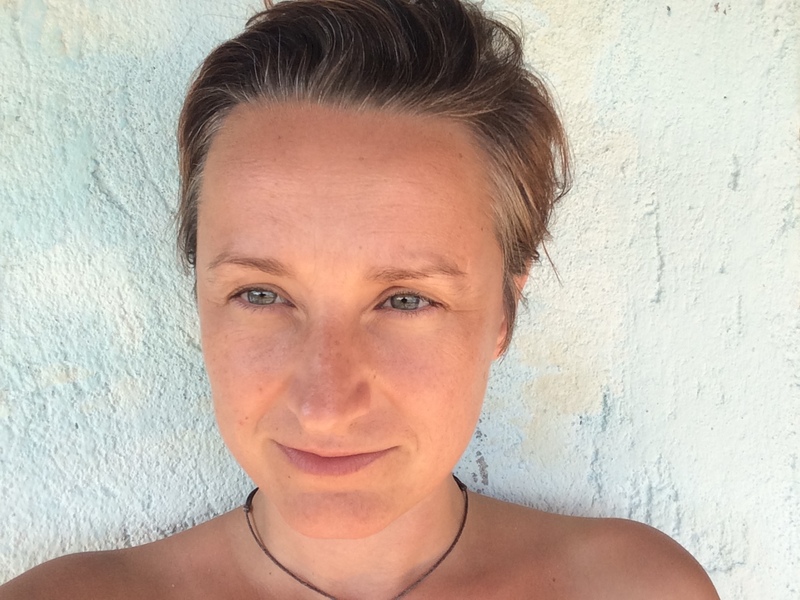 Gosia, I love how you are saying YES to life, YES to experiences, YES to yourself! There is both immense power and freedom in doing that. What delicious living, so rich and fulfilling. I’m happy for you and sending you hugs and high fives chicaruski!! Gosia, you are amazing! Have an incredible retreat and come out an even more enlightened being at the other side! It’s a shame I’ll miss you in Mazunte but I know you’ll be there in spirit!